This is contained in a statement signed by SERAP Executive Director, Mr Adetokunbo Mumuni in Abuja on Sunday. Mumuni urged the Speaker of the House of Representatives, Mr Yakubu Dogara, to allow the anti-graft agencies investigate the allegations of the budget padding by the leadership of the NASS House to save its name. He specifically advised the Speaker to allow the EFCC and the Independent Corrupt Practices and other Related Offences Commission (ICPC) conduct an effective and independent investigation into the allegation. The executive director said that the leadership of the House was alleged to have padded the 2016 budget to the tune of N40 billion. 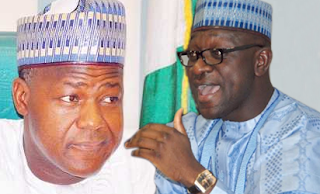 ``SERAP’s call follows allegations by the immediate past Chairman of the House Committee on Appropriation, Abdulmunin Jibrin, that the Speaker and three other principal officers of the House attempted to approve N40 billion out of N100 billion approved for members for constituency projects. ``Jibrin said he has also been victimised for refusing to support immunity for presiding officers. ``Given the seriousness and gravity of the allegations against the leadership of the House, any investigation by the House would not be enough as this would not meet the threshold of an effective, transparent and independent investigation. ``Nigerians will not have confidence in the House investigating itself in this case. ``The Speaker must now move swiftly to refer the allegations to the EFCC and the ICPC to allow for a swift, transparent, effective and independent investigation in order to contain the damage that is already done. ``There must be full accountability for any leader or member of the House found to be responsible. ``These allegations also raise numerous questions about the need for greater level of transparency and accountability in the National Assembly such as telling Nigerians the salaries and allowances of Senators and members of the House. ``Public auditing of spending by the National Assembly and why several concluded reports on allegations of corruption that have been investigated by the National Assembly remain shrouded in secrecy and skewed to favour suspected corrupt officers,” Mumuni said. Besides, he enjoined the leadership of the House to publicly commit that it would not promote constitutional amendments on immunity for its principal officers. According to him, no public interest would be served by the National Assembly if it sought to grant its principal officers immunity that was not contemplated by the framers of the 1999 Constitution. ``It is absolutely important that members of the National Assembly - the Senate and House of Representatives - conduct themselves at all times in the knowledge that their role is a public one. ``Appearances of propriety can be as important as actual conflicts of interest in establishing what is acceptable behaviour,” he emphasised. Mumuni further urged Dogara to propose a bill on members’ integrity, saying that this will help restore public confidence in the National Assembly, check corruption and protect the leadership of the House from criticism.